Ilmari Sysimetsä’s Olympics poster featuring Paavo Nurmi – the Flying Finn – is most likely the most famous Finnish poster ever. The poster is also a great example of recycling. 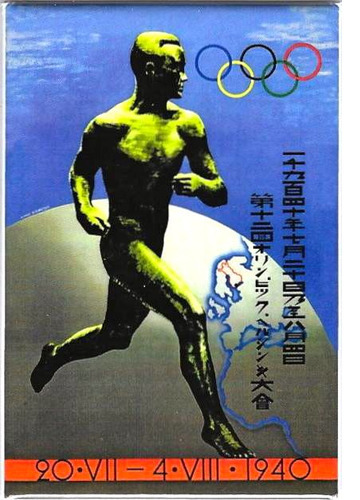 For the Olympic Games which were to take place in 1940 a big travel poster contest was held. The price was shared by three contestants, one of which was Ilmari Sysimetsä, with this poster. Then the Winter War started, the Games were postponed, and before the 1952 Olympics a new contest was organized. One of the jurors was the previous winner, Sysimetsä. The number of contributions was bigger this time around – more or less everybody in the republic with an artistic streak participated – but the jury was still not quite pleased. So, what did they do? 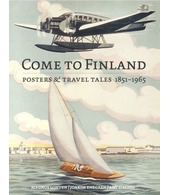 They pulled Sysimetsä’s winning poster for the 1940 Olympics from the archive, adjusted the map to the new, smaller Finland, changed the date – and there you have it – a new classic was born. And now the image was to be spread all over the world. 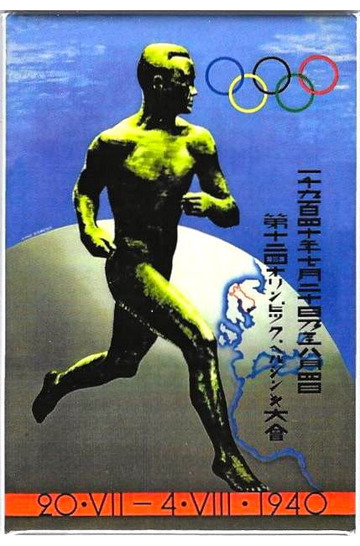 The Olympics 1952 then became the turning point for a poor and war-torn country. This was the first time many people saw dark-skinned people, and it was the time when Finns could drink a certain type of cola drink and were taught to blow chewing gum bubbles… Oh sweet freedom!